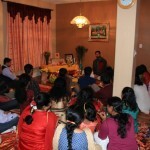 Sri Ramanujamji delivered a captivating lecture on ‘Gaining clarity and confidence in life – The teachings of Bhagavatha Dharma’ . 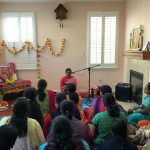 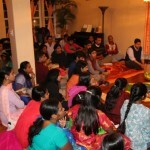 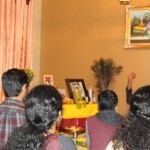 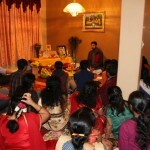 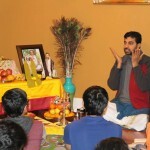 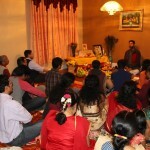 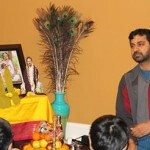 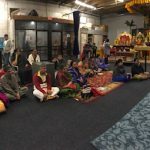 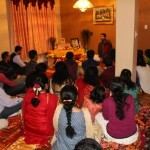 About 20 families attended the satsang on a beautiful Friday evening, on November 21st 2014 at the residence of Sri Chittuji and Mrs.Kavya Chittu in Aurora, IL. 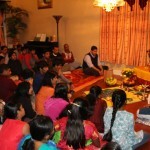 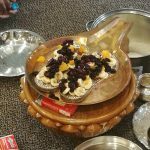 This was followed by a wonderful group discussion and a quick round of kids/adult quiz. 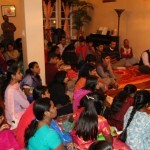 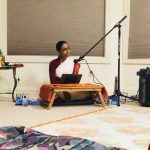 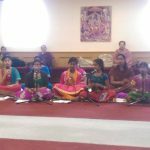 The satsang ended with arathi and Namasankirtan.